Don't know your Polo from your Passat, or the difference between a Tiguan and a T-Roc? Have no fear, here's our guide to every car sold by the world's biggest car manufacturer. You've heard of Volkswagen, right? The Golf? The Beetle? Big names. But there’s more to VW than a couple of big hitters. It’s the biggest car company in the world, and has a wide range of cars to suit a wide range of people. But don’t worry; we’re here to guide you through it, and soon you’ll know your Polo from your Passat, your Tiguan from your T-Roc and your Up from your Arteon. Let’s tread carefully around Volkswagen’s history, as it began at a time in Germany when politics were, let’s say, different to what they are now. The company was founded in 1937 as a state project to develop an affordable car for the masses; literally a 'people’s car'. Or, translated into German, a Volkswagen. The result? 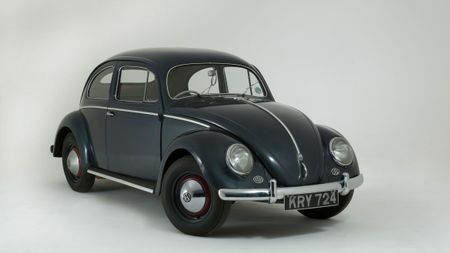 A little car that would come to be known as the Beetle, which formed the foundation of the very successful Allied attempts to kick start the German auto industry after the Second World War. Luckily, the world was convinced. 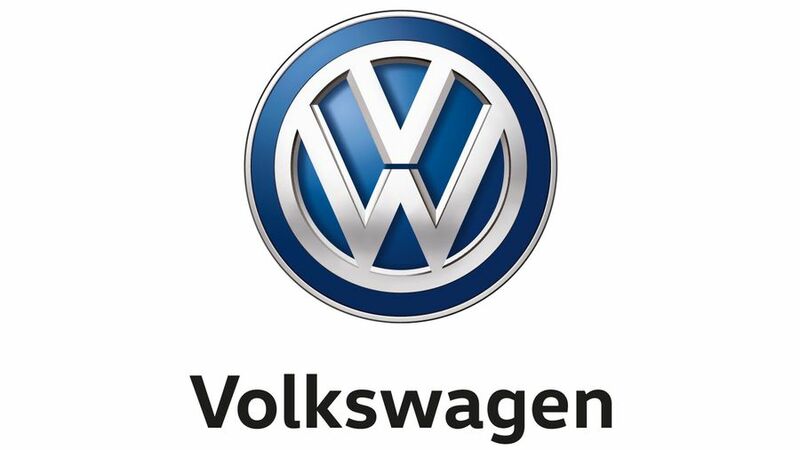 Since then Volkswagen has grown in strength tremendously and, thanks to a succession of hugely popular cars that have sold in massive numbers around the globe, it’s now the world’s biggest car maker. 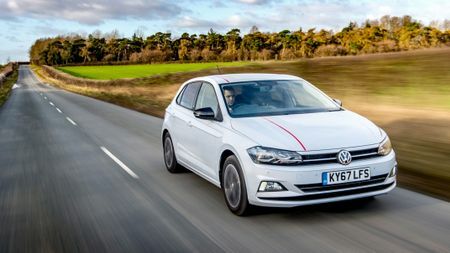 Its hits range from household names like the Beetle – which sold largely unchanged until 2003 – to the Golf, the Polo and the Passat. But there’s much more to the VW range than that. Let’s go through what the company sells today. 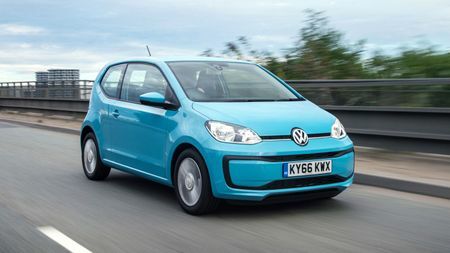 We’ll start with the smallest car in the VW range, called the Up. 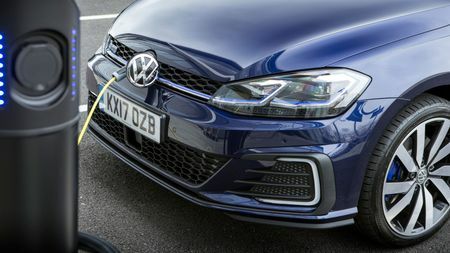 Like most cars VW makes, it comes with a range of trim level and engine choices to suit different tastes and budgets, and you can navigate your way through these by reading our Expert Review. The Up comes in three or five-door form and while it’s small, it can still carry four adults. It’s also surprisingly fun to drive as well, which is always a plus for a city car. If you need something bigger, then take a look at the Polo. It’s a badge that’s been around since 1975, and the current Polo is the sixth version that VW has made. It’s less like a big Up and more like a smaller Golf, with a high quality interior and a classy, understated design. It’s available only in five-door form, which is a shame if you’re after a sportier look, but it’s nevertheless one of the best small cars on sale. For a bit of extra space, there’s the Golf. 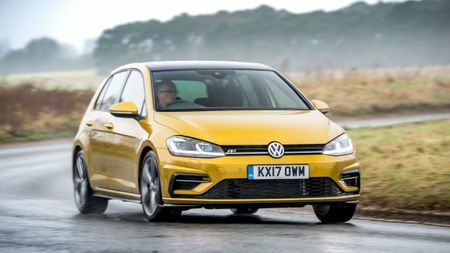 Surely one of the most recognised car names in the country, the Golf is now on its seventh iteration having been first introduced back in 1974. It’s maintained its popularity and with good reason; it’s excellent, whether you want a small-engined, economical runabout or a sporty hot hatchback. Or something in between. Or a plug-in hybrid. 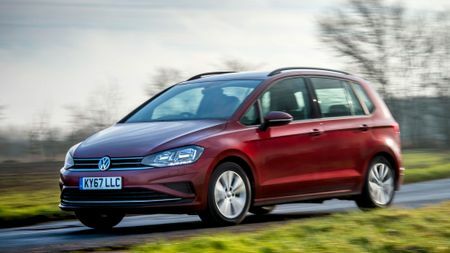 The Golf comes with either three or five doors, and is also available as an estate, although not in all versions. 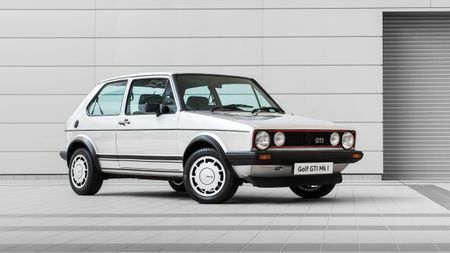 For a little more space still, there’s another version of the Golf called the Golf SV. The SV stands for Sportsvan, which gives a good description of what it’s meant to do. Take a Golf, make it higher and bit boxier to give extra space inside. If you fear that an SUV might be too big for you, but you want as much practicality as possible, this could be worth a look. The Sports Utility Vehicle is very now. More and more people are jumping on the SUV bandwagon, drawn by the high, confidence-inspiring driving position and extra interior space. Volkswagen’s range starts with the T-Roc, which offers an alternative to cars like the Mini Countryman and Audi Q2. It’s available with four-wheel drive if you need to venture off-road, or two-wheel drive if you don’t, and has both petrol and diesel options. 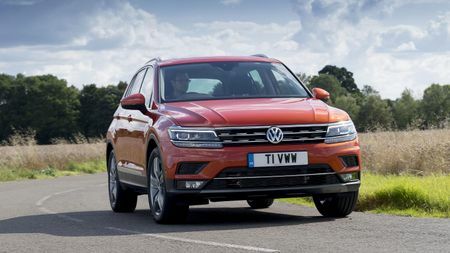 For something bigger, check out the Tiguan. 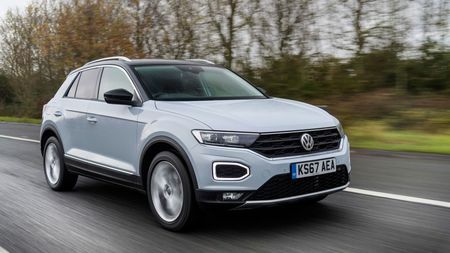 As a rival to the Nissan Qashqai and Mazda CX-5, it’s a mid-sized family car that has extra boot space and more room in the back for adults than the T-Roc, and it’s available with plenty of features too. 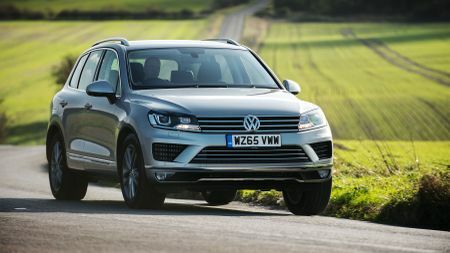 The Tiguan Allspace adds even more practicality, as well as two more seats to take the occupant limit up to seven. 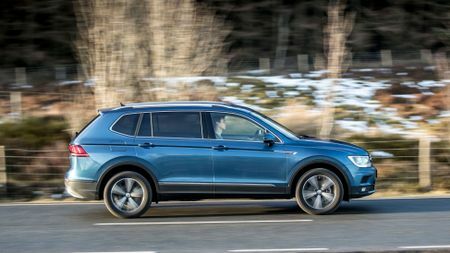 It’s longer than the regular Tiguan to accommodate the extra row of pews, and offers an alternative to cars like the Skoda Kodiaq or Kia Sorento. For maximum size, the Touareg could be the car for you. It’s Volkswagen’s biggest SUV, although it’s not a seven-seater. That means extra lugging space. If you’re tempted, bear in mind that an all-new Touareg is due to arrive in the second half of 2018, so you may want to hang on for that. Or, conversely, you might be able to find some bargain prices on remaining stock of the existing version. 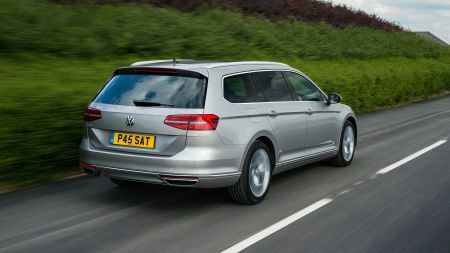 If it’s space you’re after, and you’re not tempted by an SUV, VW does two different MPVs, which are basically minivans with a fancy acronym (it means multi-purpose vehicle). 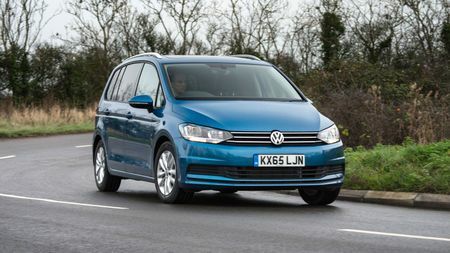 The Touran is the smaller of them, with loads of room inside and some versatile seats that can be shuffled into different arrangements. If you need something even bigger, then check out the Sharan, which has a cathedral-like interior with plenty of room for seven adults. If you’re joining the electric revolution and want a Volkswagen without a combustion engine, then you have two choices. 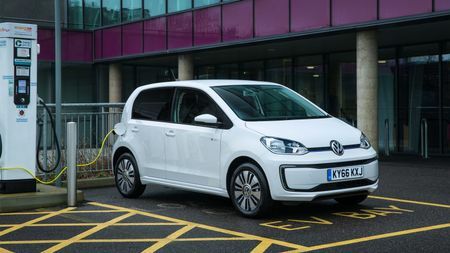 The first is the e-Up, an electric version of the Up city car (and not a version specifically designed for Yorkshire), while the second is the e-Golf, which, as you might have guess, is an electric version of the Golf. If going fully electric isn’t for you, how about…? You can get three different hybrid Volkswagens. 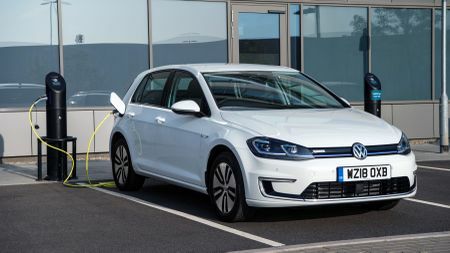 As well as the Golf GTE – think of it as a plug-in hybrid version of the GTI hot hatch – you can also choose a Passat GTE in either saloon or estate form. Be aware though; all the GTE models have proved so popular that, at the time of writing, they were closed to new orders. 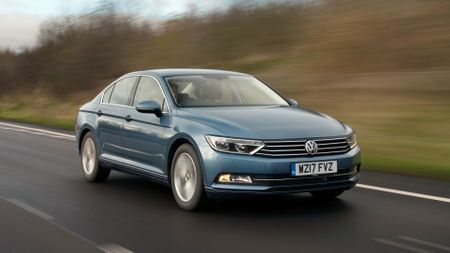 If you’re after a saloon, check out the Passat, which is a rival to cars like the Ford Mondeo and Vauxhall Insignia. It boasts an elegant cabin and excellent build quality, and also comes in estate form too. 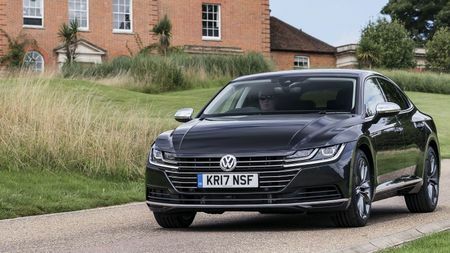 For something with a bit more pizzazz, take a look at the Arteon. It’s not technically a saloon, thanks to its hatchback boot lid, but it’s a more style-orientated car, aimed at a more premium level of competitor, like the Audi A5 Sportback. It has a more poke than the Passat from the engines available, and more kit too. Oh, did we mention the Beetle? The original Volkswagen lives on today, albeit in a much more modern guise, heavily influenced by the legacy of its ancestor. 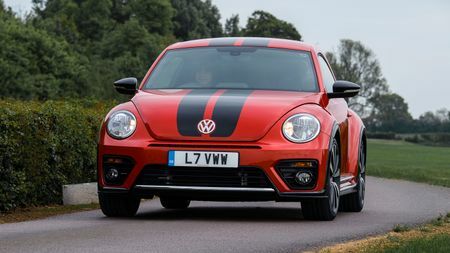 The Beetle comes in both coupe and convertible forms, with funky looks inside and out and a range of engine and trim options. It's easy to get lost in a sea of acronyms and marketing speak when looking at a new car, so here's our breakdown of terms you might not be familiar with. 4Motion: Volkswagen’s all-wheel drive system, which means all four wheels are powered instead of the front two or the rear two. This improves traction and can be very useful in cars designed to work off-road, but also adds extra weight and can affect fuel economy. ASG: Automated Shift Gearbox. This is one of Volkswagen’s automatic gearboxes, and without getting too techy, it uses a single clutch (like a manual gearbox) as opposed to a double clutch in the DSG systems. Car-Net: A general term for everything related to in-car internet connectivity. The exact features vary depending on which model you’re looking at. DSG: Dual Shift Gearbox. This is another of Volkswagen’s automatic gearboxes, and uses two clutches for faster, smoother changes. Lane Assist: A system that stops your car from drifting out of its lane. At speeds above 40mph, a camera in the rear view mirror detects lane markings. If you move out of lane without indicating, the system will nudge the steering to bring you back in line or, if that’s not enough, vibrate the steering wheel to warn you. Side Assist: Also known as a blind spot monitoring system, Side Assist uses sensors to warn you about vehicles in your blind spot if you’re about to change lanes. LED lights flash in the wing mirror if you indicate and cars are coming up from behind. Side Assist Plus: Side Assist and Lane Assist, packaged together. TDI: Turbocharged Direct Injection. This is Volkswagen’s name for its diesel engines. Anything with TDI in the name is diesel-powered. TSI: Turbocharged Stratified Injection. This signifies a turbocharged petrol engine.